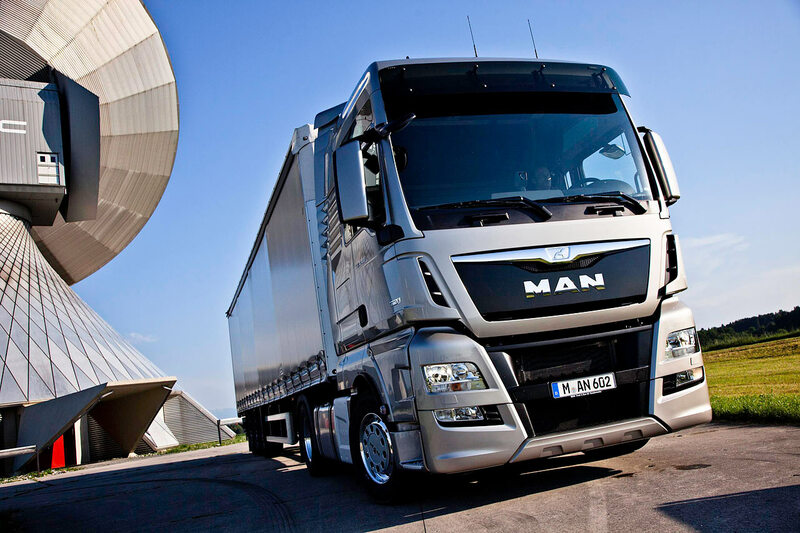 MAN Truck & Bus will be presenting the updated TG vehicles at IAA Commercial Vehicles 2012 in Hanover. Stylishness and functionality - two properties which have traditionally been the hallmark of MAN's heavy-duty series. The vehicle front of the new TGX and TGS was completely redesigned and presents a self-confident and modern look. The company name continues to make its statement in capital letters on the radiator grille. The combination of an even more dynamically designed radiator grille with the wide-open wind deflectors with visible air conduits has helped to create an all new vehicle front perfectly reflecting the evolution of the TGX and TGS designs. Moving the upper edge of the front flap further down has now exposed the windscreen wiper cover for better visibility. The windscreen wiper cover's design in black serves to visually enlarge the windscreen surface. This has led to an interesting change in proportions of the vehicle's front view while contributing significantly to differentiating the visual impression made by MAN's Euro VI truck. At the same time, however, the vehicles' recognition value has been preserved. In addition to being visually appealing, the design changes made to the vehicle front also meet the requirements of the Euro VI standard. The modifications have resulted in improved aerodynamics and higher air flow volumes through the vehicle radiator. Wide-open wind deflectors with integrated air conduits serve to optimise the flow of air around the sides. The cooling-air inlets at the vehicle's front have been enlarged to maximise the incoming air flow cross-section and hence to increase engine-cooling performance. At the same time, the air conduit at the radiator grille has been optimised for a more even air flow underneath the vehicle. The vehicle's overall improved aerodynamics hence make an important contribution to keeping fuel consumption down even for the Euro VI standard. Additional detail optimisations also serve to improve the vehicle's handling for everyday use. The windscreen wipers' exposed position prevents the windscreen wiper system from being affected by ice and snow build-up during the winter season. Another change introduced for the TGX and TGS involves the layout of their frame components. To achieve maximised tank volume in spite of the increased space requirements for exhaust aftertreatment, new single AdBlue® tanks were developed. These tanks have been housed on the left side of the vehicle between the front fender and battery box - either behind the driver's cab or in front of the leading axle. The new access to the working platform on the vehicle's left leads across the tanks. Depending on vehicle configuration, the AdBlue® tank is available with a capacity of between 25 and 80 litres. Depending on vehicle type, customers also get to choose from a large selection of fuel tanks offering a variety of different capacities. The silencer has been positioned on the right. 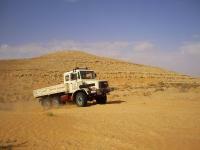 In long-distance transport, mileages of up to 3,800 kilometres can be achieved without refuelling. The efficient six-cylinder in-line engines of the MAN D20 and D26 series in Euro VI standard with their output range of between 360 and 480 hp are the secret behind the optimum propulsion of the MAN TGX and TGS. There are two different gearbox variants available for the TGX. The automated MAN TipMatic® transmission with 12 speeds allows a particularly cost-conscious driving style as it automatically selects the most favourable moment for shifting gears. When the standard engine-valve brake is operated, the automated gearbox selects the optimum speed for maximum engine braking power. here is also a manual 16-speed transmission available for the TGX. This article aceivhed exactly what I wanted it to achieve.